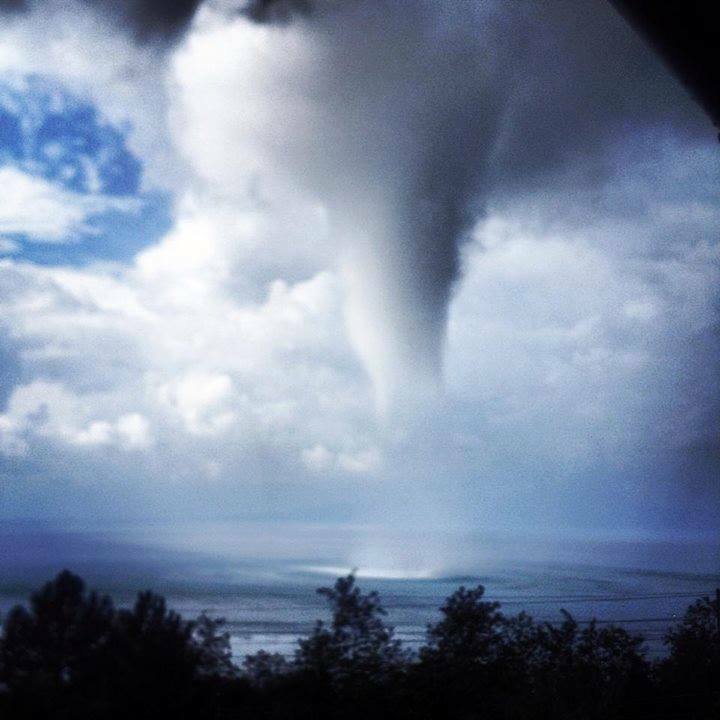 A large waterspout occured on Oct 16th, 2013 in the late morning just offshore Cersuta near Maratea in coastal southern Tyyrhenian sea, Italy. As can be seen from the photo below, the vortex of this waterspout was pretty large and likely strong. Thankfully it stayed only over water and no damage was done or reported on the coast. The event occured within the SLGT risk area for Day 1 Outlook for 16/10/2013. Special thanks to Francesco Marasco and Meteonetwork Puglia e Basilicata ONLUS for bringing this event image to our attention.